Don’t be left out in the cold this winter. Old and outdated furnaces can be unreliable and quit at just the wrong time. If you live in the Metro St Louis area, let the heating and air experts at Accel Heating & Cooling help you with your St Louis furnace and heating repairs & maintenance. If you’re looking for St Louis heating repair, or if you need to have a heating system replaced, call Accel Heating & Cooling today to see how we can help you with all of your heating and air conditioning needs. Accel’s St Louis Furnace & Heating Repair service can make sure your furnace is running properly this winter to ensure that your home is heated properly and safely. A tune-up and repair to your furnace by Accel Heating & Cooling can help make sure it’s running a peak efficiency. Furnaces that do not run properly will not only fail to heat your home efficiently but may also increase your energy bills. The expert heating and air technicians at Accel Heating & Cooling can repair any furnace or heat pump to make sure that it is running at peak efficiency. 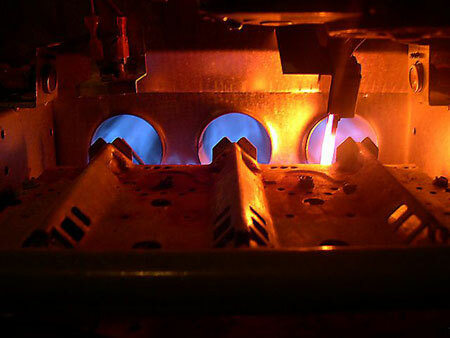 Our repair technicians specialize in repairing all of the major furnace brands. No matter what the issue is, our repair team will be able to diagnose and fix your furnace to the highest standards in the St Louis area. If you have a malfunctioning furnace that cannot be repaired, it’s probably time to get a new one. Accel Heating & Cooling can help replace your old furnace with a brand new one that will keep you warm in the frigid St Louis Winter temperatures. A new furnace will keep you warm, and can also help you save money on energy bills. When considering a new furnace, it’s important to keep in mind efficiency and cost of operation. The furnace replacement specialists at Accel Heating & Cooling have the know-how and expertise to make sure you are getting a furnace to fit your needs. With our experience with all of the major models, our experts will analyze your heating needs to make sure you are getting the furnace that will do the job you need, while helping to save you money.